First shown in late 2006 and released in early 2007, the Apple TV device has gone through a more substantial transformation than any other Apple product in the past decade. The original model was a stripped-down Macintosh computer with a 40GB hard drive for playing videos, music, and photos on an HDTV. Apple unveiled a completely redesigned plastic model in 2010, dropping the hard drive in favor of 8GB flash storage, and in late 2015 the device was updated again with its own tvOS operating system, a slightly thicker design, and an all-new Siri Remote. The streaming box serves a variety of purposes now, thanks to its tvOS operating system, which has its own App Store. The 4K model and 4th-gen device come with the Siri Remote. Included is a dedicated Siri button that, when paired with universal search on the devices, allows users to easily look up content from a variety of sources with a single search. Using AirPlay with your iOS device or Mac, you can stream videos, photos, and music directly from your iPhone, iPad, iPod touch or Mac to your HDTV, as well as mirroring their screens. Under some circumstances, Macs can use a TV equipped with the box as a second display. With the release of the 4K model priced at $179 and $199 for 32GB and 64GB respectively, Apple has dropped the 64GB version of the 4th-gen model as it continues to offer the 32GB model for $149. At it’s March 2019 services event, Apple announced multiple things that will appeal to owners of the streaming box. The first is Apple Arcade. The service will allow iOS, Mac, and tvOS users to pay a flat monthly fee and access a bundle of otherwise paid apps through the App Store. Apple is said to be working with a handful of publishers and developers for the service. With a single subscription, Apple Arcade will give you access to over 100 new and exclusive games. Arcade will be a new area on the App Store, with a new tab along the bottom. The service syncs between all of your devices, and offline playing. There are no ads or in-app purchases with the service. The service will allow access to all members in a Family Sharing account. 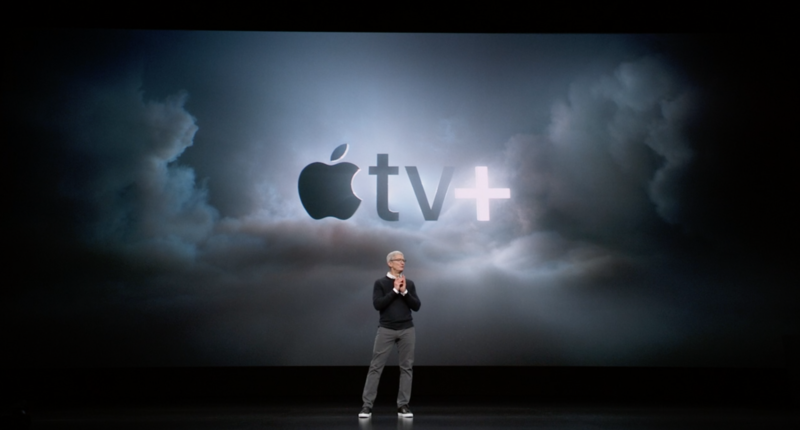 The second announcement was Apple TV+. Apple has finally lifted the curtain on its original content television show plans and showed the first snippets today of its own-produced TV shows. The company previewed what it has in a store in a fast-cut montage trailer. The service will debut in the fall — pricing is yet to be announced. Apple will have dozens of original content shows, with more added every month when the service launches worldwide in the fall. It describes the service as ‘the new home for the world’s most creative storytellers’. Apple Originals are ad-free and will debut in 100 countries later this year. The original shows will be available in the revamped TV app on iPhone, iPad, iPad and Apple TV. Apple is launching Apple TV app on the Mac this fall. The new TV app/service will also be available for Roku, Fire TV, and various smart TVs as well. Apple today is releasing tvOS 12.2.1 to all users of the fourth-gen Apple TV and Apple TV 4K. The update focuses on bug fixes and comes following the public release of tvOS 12.2 last month. Today, the Instagram account representing the Duke & Duchess of Sussex announced that Prince Harry will be a co-creator and executive producer on the mental health documentary. Apple has given a straight-to-series order to a drama based Stephen King’s 2006 book “Lisey’s Story.” The series will star Julianne Moore in the leading role, according to a new report.